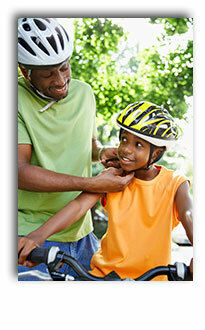 Biking and other wheeled sports are great ways to have fun and be active. 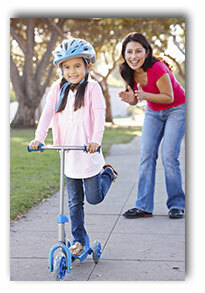 With some practice and safety steps, your kids will be ready to roll. A bike helmet is the single most effective safety device available to reduce head injury and death from bicycle crashes. But, helmets only work if they’re worn correctly. How do you know if a helmet fits?